So often we search for God in the extraordinary but look past Him in the ordinary moments of life. How can we open our eyes and experience God’s goodness and presence in the everyday ordinary rhythms of life? 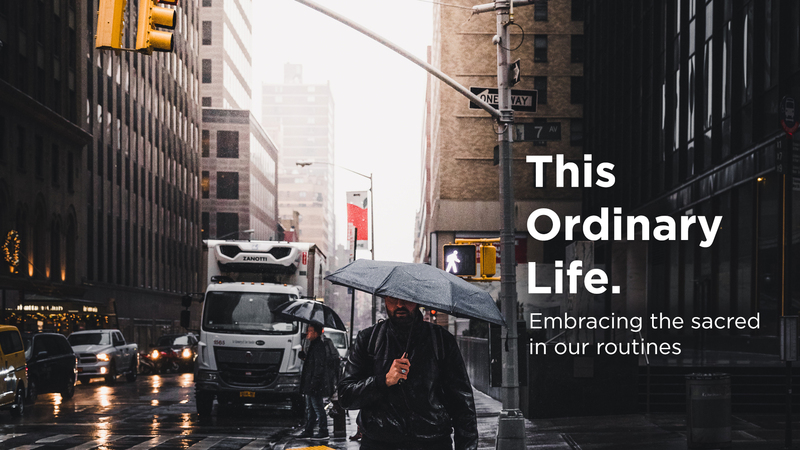 This Ordinary Life (WK 1): "Sleep"
This Ordinary Life (WK 3): "Traffic"
This Ordinary Life (WK 4): "Eating"
This Ordinary Life (WK 5): "Work"
This Ordinary Life (WK 6): "Conflict"
This Ordinary Life (WK 7): "Coffee Shop Conversations"